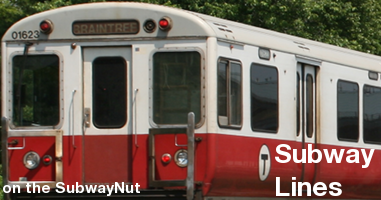 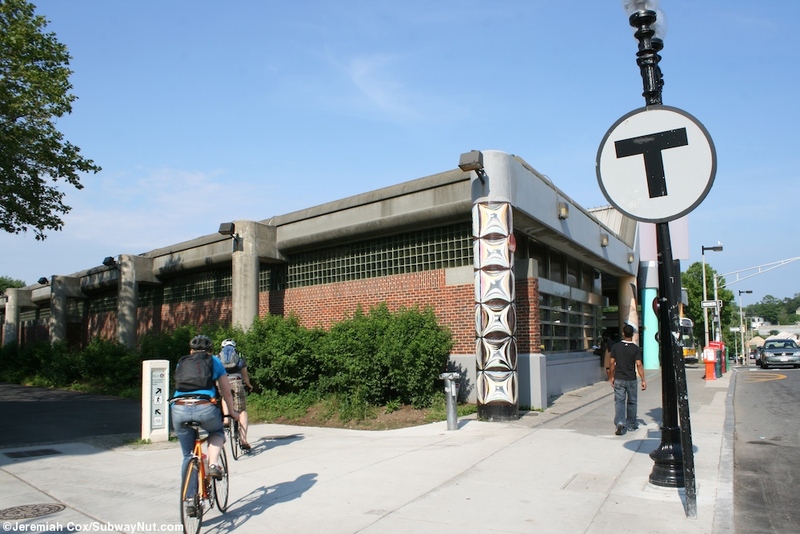 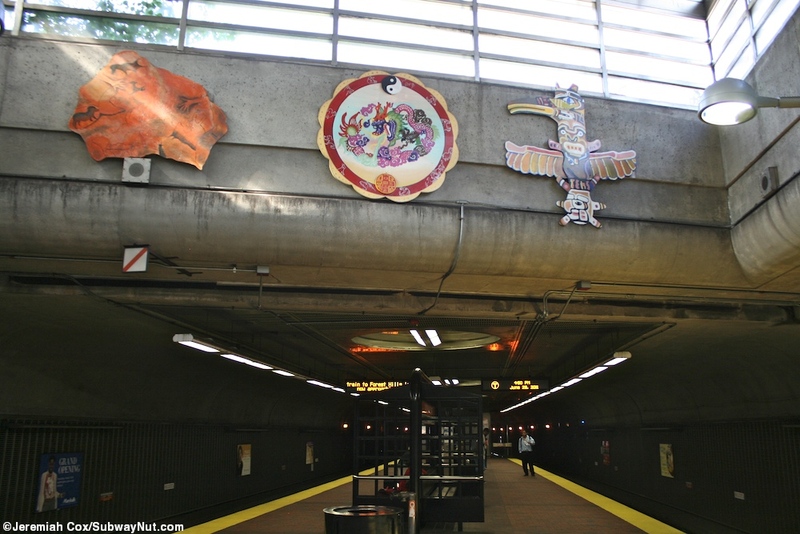 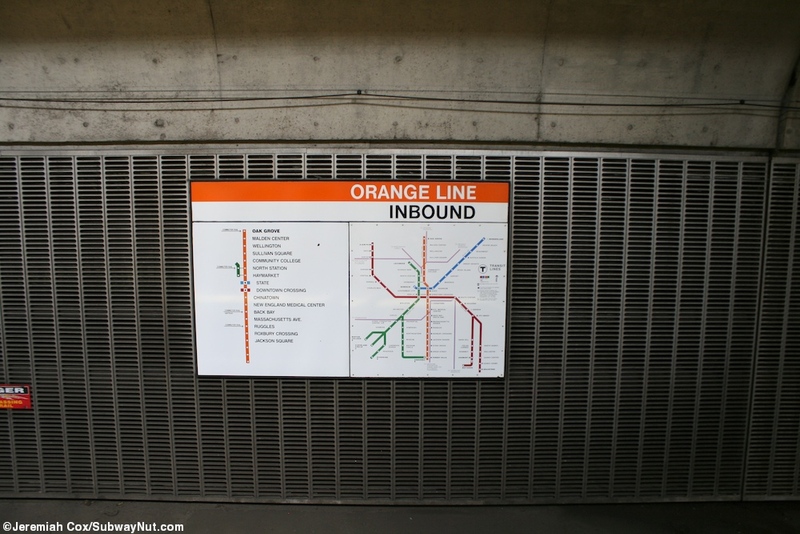 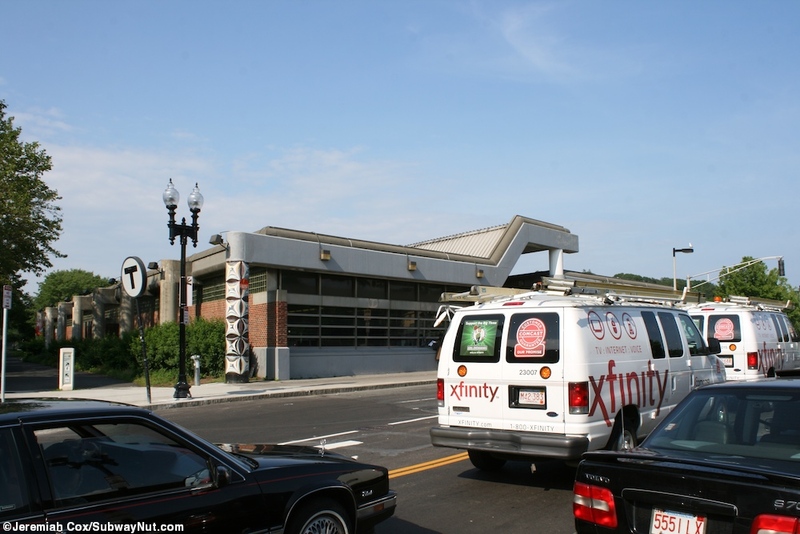 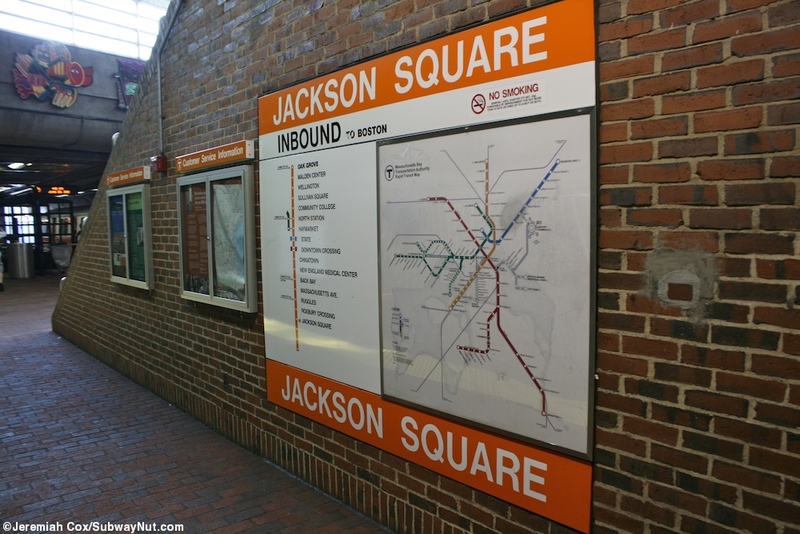 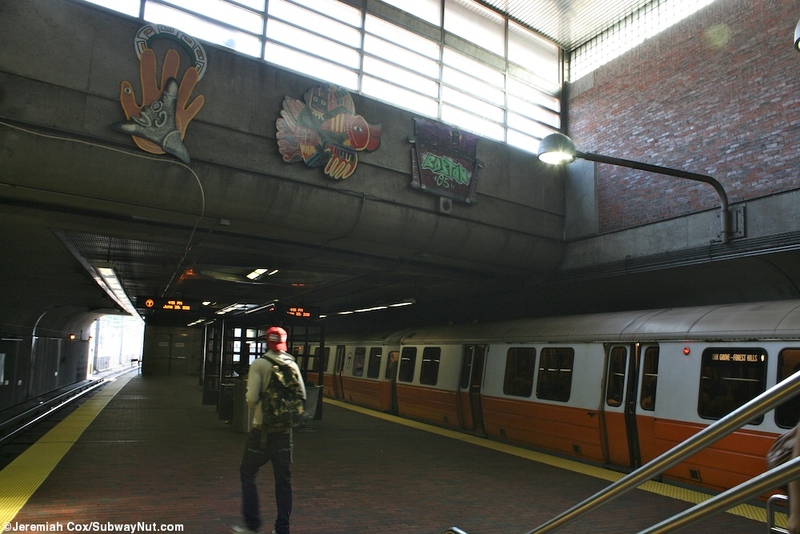 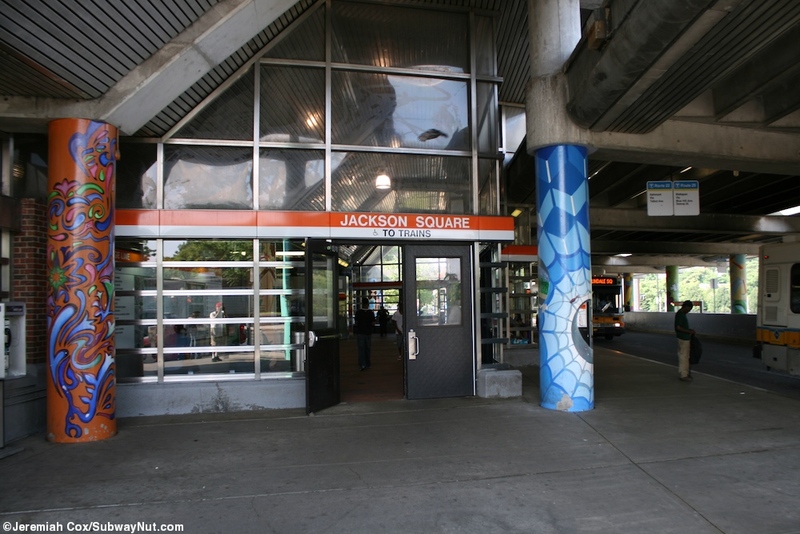 Jackson Square is an Orange Line MBTA Station located in the tunnel on the ROW it shares with the NEC. 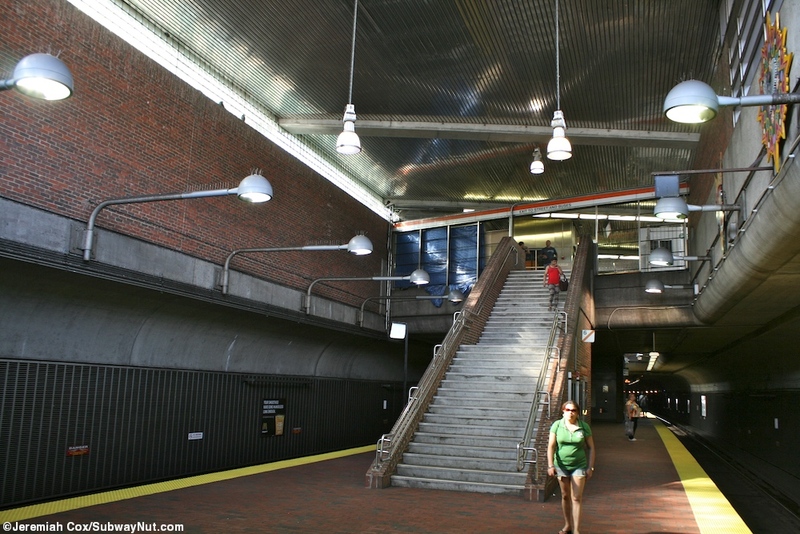 It feels like it is almost underground since the line enters a tunnel just north of the station and wall separates the southern end of the island platform from the daylight beyond it when it reenters an open cut, except for skylights from the sides of the raised roofs where the station entrance area is in the middle of the platform. 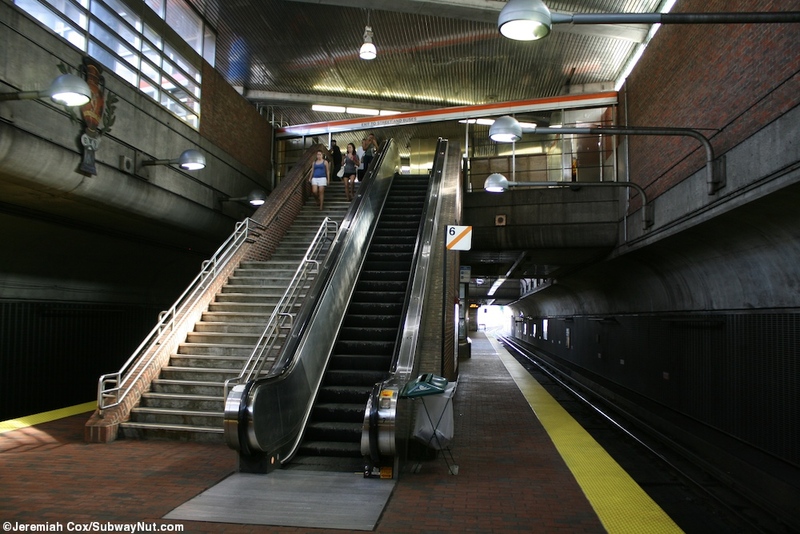 This consists of a staircase/up escalator, elevator and second staircase up to a mezzanine area where fare control is in a large concrete building at street level. 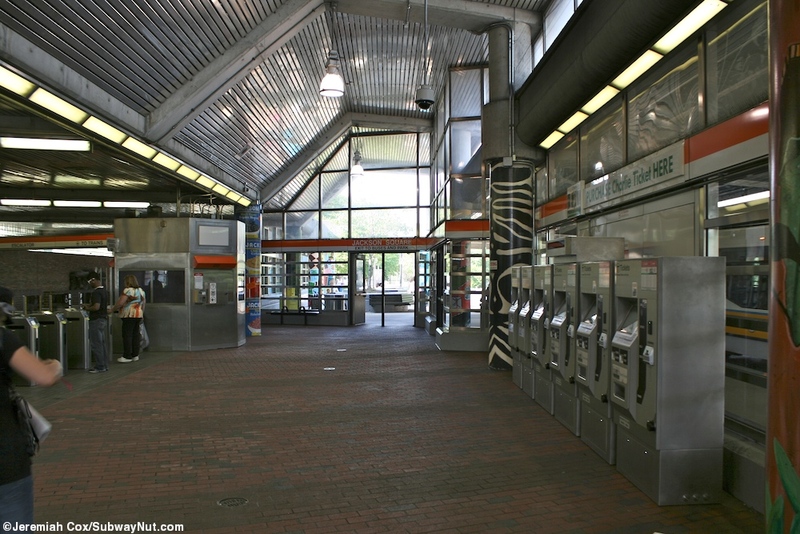 There is a bus loop to one side of it (over the railroad tracks tunnel) and a main entrance from the northside of Centre Street. 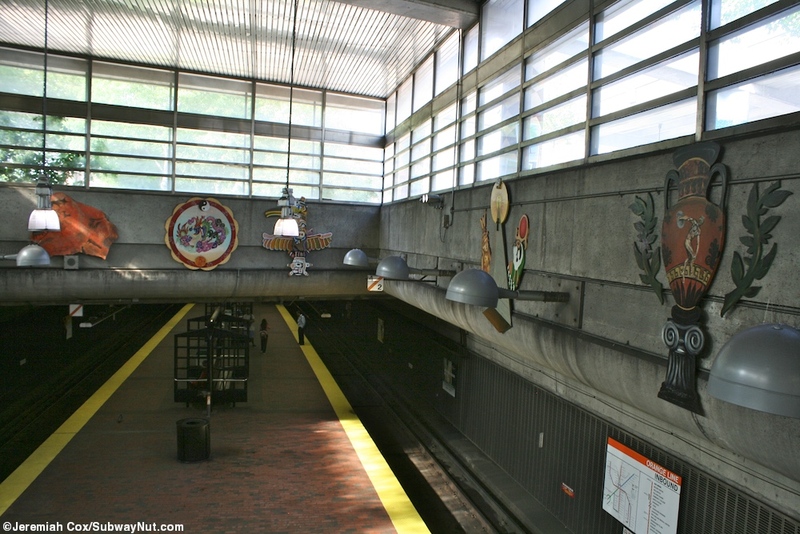 Along the area above the staircases where the cieling becomes vaulted the stop has some artwork, and the outside murals.